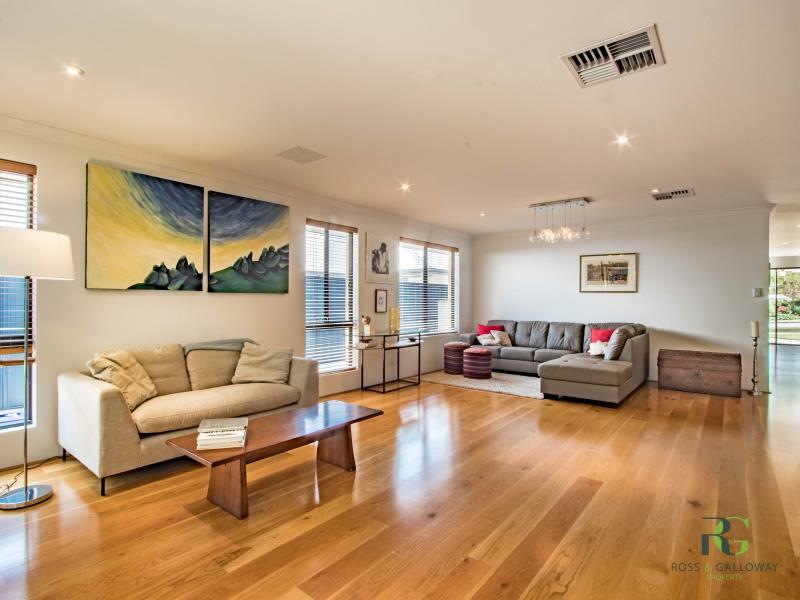 This modern family home is immaculately presented and maintained. Upon entry you will find a private living room or theatre room. The heart of the home is a massive open plan well appointed kitchen with stone bench tops, living and dining area a perfect place for the whole family to come together. This flows onto the undercover entertaining area overlooking mature gardens. The master bedroom is big and bright in a fabulous separate wing to the other 3 bedrooms, with walk in robe and large ensuite. 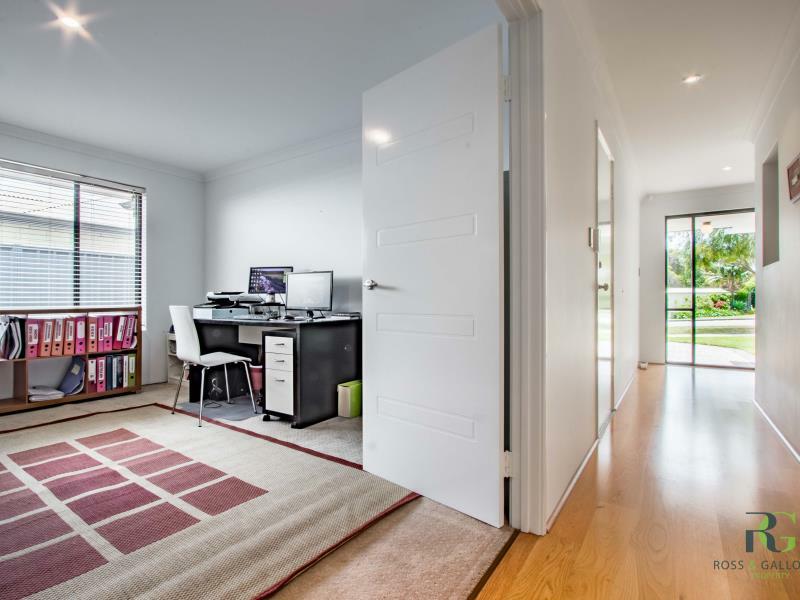 The other 3 bedrooms all have built in robes and a teenage retreat or children's playroom connecting them. 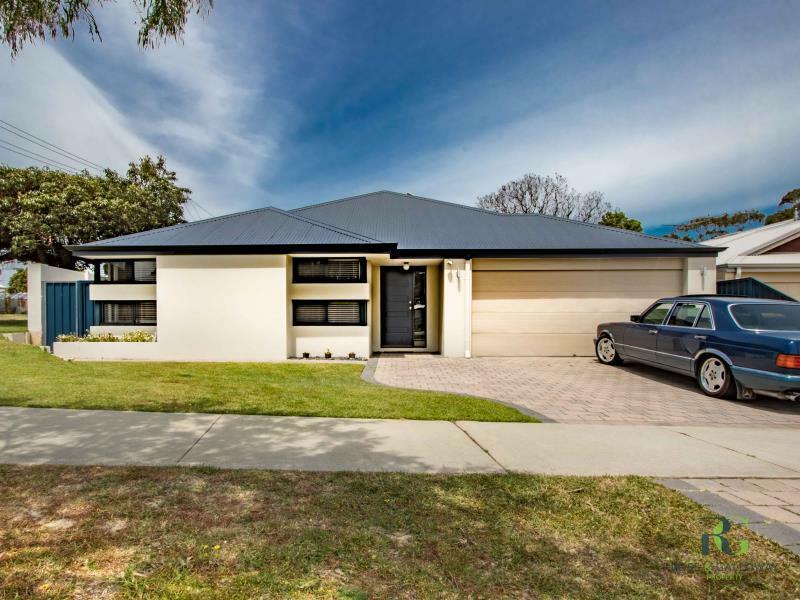 To arrange a viewing of this property, Contact Adam at Ross and Galloway property on 08 9333 5999. Please be aware Ross and Galloway property does not accept 1Form applications.